Did we miss the warning signs with Antonio Brown? During the entirety of the 2018 regular season, the Steel City Underground staff has watched the numbers the Pittsburgh Steelers put together in a season that could have been remarkable. In the case of how players play - on the field - the numbers typically don't lie. In 2018, it was things that happened in the locker room, on the sideline, or away from the playing field that skewed impressions. Today, we look at season stats that stood out on offense for the Steelers as a team and individual stats that show this was a much better team if you eliminate all the extraneous activity that got in this team's way. Big Ben still has "it"
Veteran quarterback Ben Roethlisberger has had his share of drama over the years with the Pittsburgh Steelers - some personal and some in dealing with coaching staff and teammates. During the 2017 NFL regular season, he opined that perhaps he no longer had what it took to be a top quarterback in the league. After watching Roethlisberger in 2018, however, he showed that he still has "it" - the skill-set necessary to lead an NFL offense. That isn't to say Big Ben didn't have some down moments. He did. But overall, his numbers were impressive at season's end. Roethlisberger moved into seventh-place of all NFL quarterbacks in total touchdown passes thrown with 363. Only Peyton Manning (539), Drew Brees (520), Tom Brady (527), Brett Favre (508), Dan Marino (430), and Philip Rivers (374) threw more in their careers (Brees, Brady, and Rivers still active). In passing yards thrown, Roethlisberger's 2018 season took the top spot - establishing a new record for the most by a Steelers quarterback in a single season in franchise history. In 2018, he threw for a total of 5,129 yards on 452 completions. His career total for pass completions is now 4,616 with 56,194 passing yards and 363 touchdown tosses. By comparison, Roethlisberger's next best season (in passing yards) was 2014 (4,952) and his fifth-best season was in 2017 (4,251). 2018 was the first time Roethlisberger had thrown for at least 5,000 yards in a season in his career and he was able to throw at least 250 passing yards and a touchdown pass in 15 of the Steelers' 16 regular season games. Roethlisberger also beat his own season-best in touchdown passes by throwing 34; he'd previously thrown 32 in both 2007 and 2014. There's no telling what might have happened had the Steelers utilized both James Conner and Jaylen Samuels in a dual-threat running back situation from the beginning of the season. Regardless, the duo put together some outstanding performances - and not just on the ground. 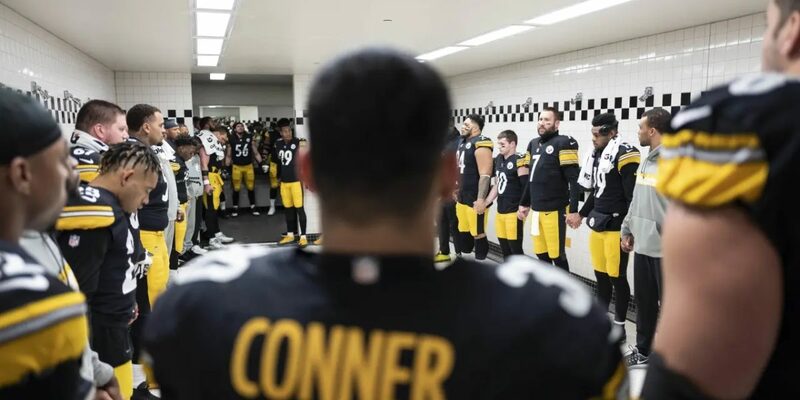 Conner finished the regular season with 1,470 yards from scrimmage which placed him at tenth by a Steelers running back in a single season, 15th among all Steelers players. His 55 receptions in 2018 rank fourth-most by a running back in a single-season in franchise history. 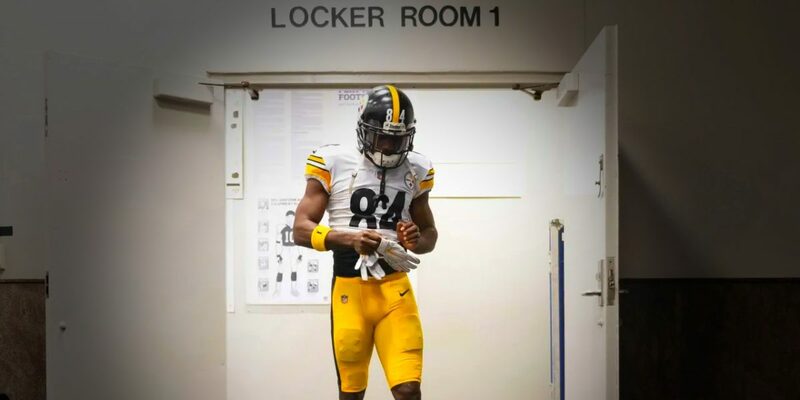 Conner surpassed Merril Hoge (1988: 487) for tenth-most receiving yards in a single season by a Steelers running back with 497. Despite missing three games to injury, Conner rushed for 973 yards on 215 attempts, for a 4.53 yards-per-carry average and scored 12 rushing touchdowns. Samuels was a nice addition in 2018 as a rookie running back. In 14 games (three starts), Samuels rushed for 256 yards on 56 carries for a 4.57 yards-per-carry average and caught 26 passes for 199 yards (7.65 yards-per-catch average) and three touchdowns. Conner finished the regular season ranked 11th (tied with Lamar Miller) in rushing yards, seventh in rushing attempts per game (16.5), ninth in yards per game (74.8), third (tied with Derrick Henry) in rushing touchdowns (12), and sixth in rushes that resulted in first downs (56) among all active NFL running backs during the 2018 season. Despite any rumors that Antonio Brown and JuJu Smith-Schuster may have had any type of disagreement or falling-out recently, the duo took flight in 2018 to become two of the very best wide receiver tandems in the NFL. Both landed among the top 10 NFL receivers (per NFL stats) in the final regular season rankings. Both made a difference on the field. Had Brown not missed the final regular season game, the numbers may have been even better. 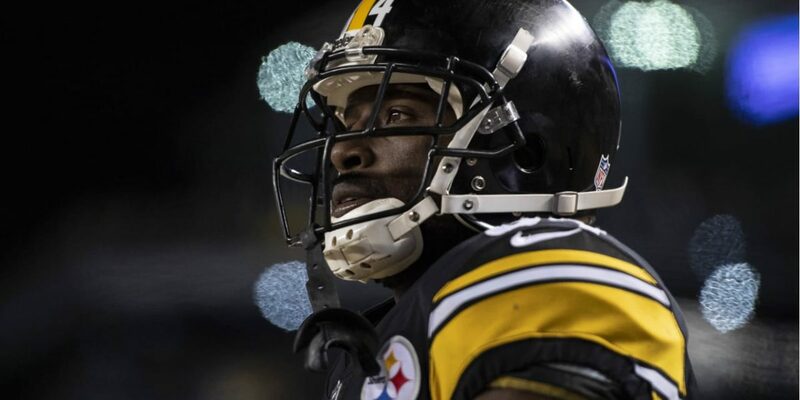 The top receiver tally (by reception total) in Steelers franchise history is owned by Brown, who set the mark with 136 in 2015; he also owns the top spot in receiving yards (1,834 in 2015). So, how did Brown and Smith-Schuster do when it all came out in the wash in 2018? Brown ranked 11th in the league among all receivers in receiving yards (1,297), ninth in receptions (104), tenth in yards per game (86.5), ninth in longest catch (78-yard touchdown), and first in receiving touchdowns (15). Smith-Schuster ranked fifth in the league among all receivers in receiving yards (1,426), sixth (tied with Davante Adams) in receptions (111), seventh in yards per game (89.1), first in longest catch (97-yard touchdown), and tied with several players at 16th in the league in receiving touchdowns (7). Smith-Schuster didn't have a sophomore slump, which was a boon for the Steelers. His 111 receptions were the fourth-most by a Steelers player/receiver in a single season. His 1,426 receiving yards rank fifth-most by a Steelers player/receiver in a single season. The Steelers' offensive line proved in 2018 that it is once again one of the most underrated in the league by quietly inserting pieces when "starters" were injured and still getting the job done. It didn't matter who was taking the snaps, who was given the majority of the rushing duties or who was out-catching whom. In the trenches, the Steelers' front was formidable. Per NFL stats, the Steelers finished the regular season ranked second (behind the Tampa Bay Buccaneers) in passing. A lot of credit for that success rests squarely on the shoulders of the offensive line. Roethlisberger was only sacked 24 times all season (and some of that was due to Big Ben trying to get creative). By comparison, Deshaun Watson was sacked 62 times and the quarterback sacked the least was Nate Sudfeld who was active for just two games and threw a single completed pass after both Carson Wentz and Nick Foles were injured for the Eagles. Despite seeing time off due to injury, tight end Vance McDonald showed up in the games he did play. Becoming the first Steelers tight end since Heath Miller (2014: 761) to finish the season with at least 600 receiving yards, McDonald set single-season highs for receptions (50) and receiving yards (610). Those 610 yards ranked McDonald 11th among all active NFL tight ends in 2018. McDonald was ranked 14th in yards per game (40.7), tied ninth in touchdowns (4), and had a 66 percent first-down conversion rating. I love your list of positive stats that stood out on offense, but I’d also like to see a follow up list of negative stats that stood out on offense. Defense and special teams are more to blame for missing the playoffs, but everyone had a hand in it. I’m thinking turnovers, penalties, pass/run ratio…. Sorry Jamie, but I’m not going to pin this season on the D. The one “bad” game they had was the fourth quarter against the Raiders, which is also pinned on the offense not driving and having the ball for about four total minutes. That’s also due to going conservative and not having Ben in the game too. Aside from the first 2-3 games, the D played pretty darn well this year IMO. Will probably write more on this topic in the coming weeks, but just look at the points allowed plus where they gave up points because the offense turned the ball over (several times giving the opponent favorable field position). I agree about the turnovers, but the defense was just as bad for not taking the ball away. Fewest interceptions in the league. Turnovers and takeaways being equivalent, the offense ranked much higher in scoring than the defense. You could make the point that the offense is higher paid, so maybe the defense pulled their weight, dollar for dollar. Since, we’re not going to blame turnovers and takeaways, we can list how many fourth quarter leads the defense blew. Special teams were largely at fault. If we’re leaving the refs out of it, the return for TD and countless missed FG cost a few wins. Being objective, you can also acknowledge that countless fans and media are calling for Butler’s head, but no one is calling for the OC to be fired. The offense was 4th in scoring before Brown bowed out. If the defense were even close to that, the Steelers would be favored to win the SB! Stats that Stood Out has always been a feature that pointed at positives and records (team & individual) that went on the books. I know we are all well aware of the negatives, but that would not fall under this feature. So, I stayed true to form for the feature. We discuss the negatives in many other articles, including post-game coverage, that to not balance things would be counter to my intentions, at least, to show that there were positives that stood out as well. Most fans of this feature are records people, stats nerds, or statistics driven – fans who are curious about how players have impacted the franchise record books. I appreciate your insights and hope that you’ll continue reading all of our material so that you see we aren’t just hyping things, but are presenting the good and not so good. I definitely did Not mean to come across as complaining that this article was implying that the offense had no negatives, or that the negatives should have been included. As always, I loved the stats! I wasn’t aware that the turnovers and penalties stats and such were being presented in other features, so I was just ignorantly requesting it. Saul Good (wo)man! Anyway, turnovers and penalty stats are never a good thing… and yeah, we don’t necessarily highlight them in their own article. Usually, it’s a side note as we bemoan the performance of someone or the team in general. IF you are specifically wanting those numbers, I’d love to cover them in a post so that people can look at them. I guess I figured people that were not happy about those numbers already had them practically memorized. Ha. Whereas the stats that we put in these STSO articles are often things that you can only find via the Steelers record books or NFL record books. I appreciate you even spending the time to look at my article. It’s not one of the most popular features, perhaps, but I try hard to look for things that I think fans might be surprised by as well. The Steelers defense blew 4th quarter leads that cost the team wins against Cleveland, Denver, San Diego, Oakland and New Orleans. And even though they didn’t blow a lead to KC, 42 points at home was disgusting! They were also awful against flacco, who has been reduced to backup level. This defense was fortunate to face a ton of backups last season. Otherwise, they’d have been just as bad back then. I will acknowledge that they played well overall against New England and New Orleans, but so did the offense. Like I said in my original post, there is plenty of blame to go around. The special teams were the worst of the three phases, but the most fingers would be pointed at the middling defense.